Awesome Friday! 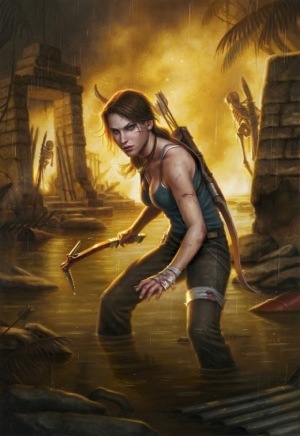 » Blog Archive Awesome: Tomb Raider Comic Writer Mentions Game Sequel - Awesome Friday! Kotaku: When does this series take place with respect to the events of the new game? Will this still be a new Lara who’s just starting out as an adventurer? Simone: Very much so, we start just a few weeks after the end of the game, and this is all in continuity, it will be Tomb Raider canon, and lead DIRECTLY into the sequel. This is what got me excited; we get to be part of Lara Croft history. The sequel. This is terrific news – as the comic (due out in 2014) is canon, it’s a certainty that Simone would have knowledge of Square Enix’s future plans with the franchise. After the first game was deemed “disappointing” in regard to sales, it seemed like a direct sequel might not happen, but this sounds much more concrete. Tomb Raider is an amazing adventure game that is not only faithful to the legacy but improves on it massively. It’s currently my favourite game of 2013, so more of the same would make me very happy indeed.